NOW OPEN SUNDAYS! 9.30AM to 7PM, FOR YOUR ONE-STOP ELECTRONICS & ENGINEERING NEEDS. 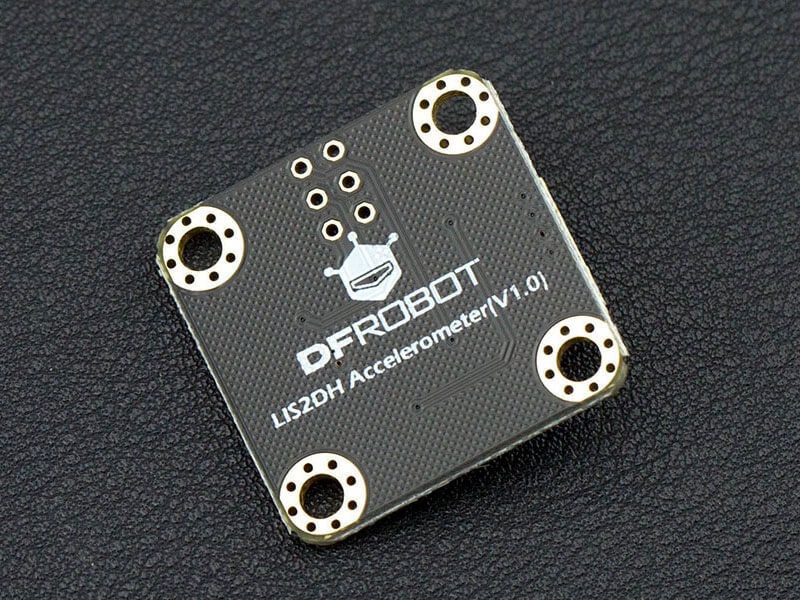 DFRobot presents the ultra low-power Arduino triple axis accelerometer! This device is based around a MEMS LIS2DH chip solution and has high-performance ultra-low power mode. 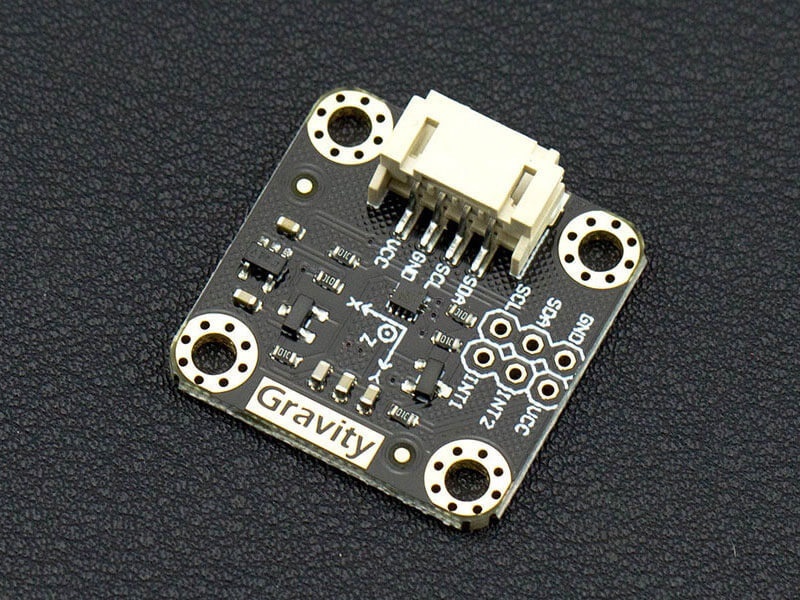 The module is fitted with a Gravity I2C interface for easy plug and play integration in to your projects. The build in LDO power management chip gives you a wide range of input voltages, from 3.3 – 5V. 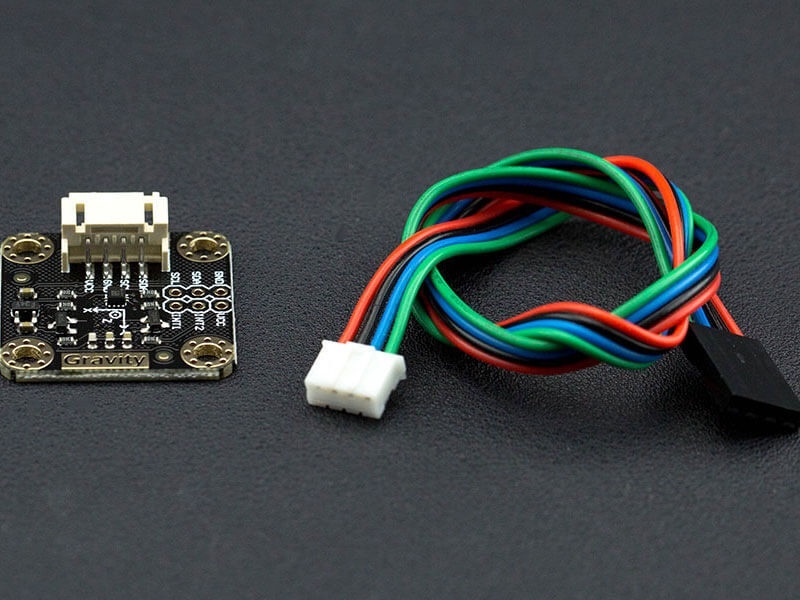 The on-board I2C level conversion also makes it compatible with 3.3 and 5V devices. Compared to traditional ADXL345, The LIS2DH accelerometer has advantages such as extra stability and more efficient power consumption. Low power mode requires only 2μA, while normal mode requires 11μA. At maximum the module supports an output frequency of 5.3KHz. 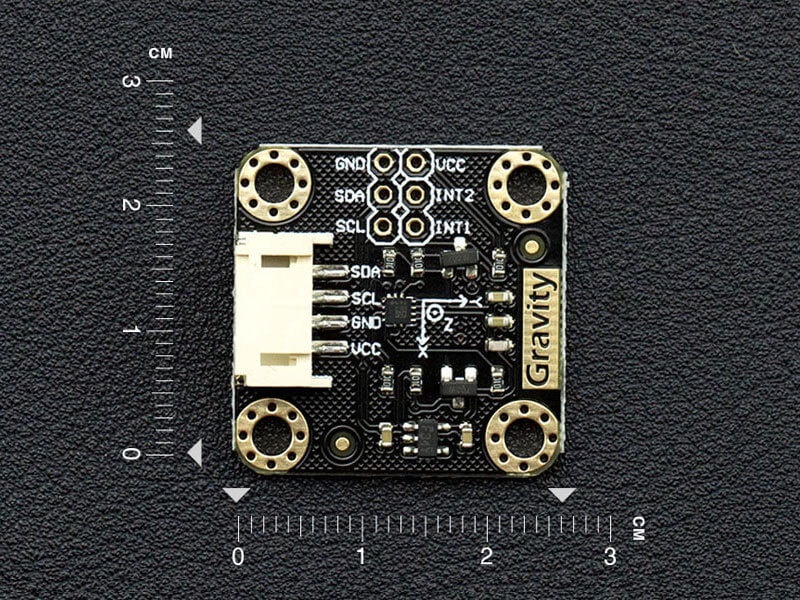 Sensitivity levels are adjustable to either +-2g, +-4g, +-8g or +-16g and the module supports 16-bit data outputs. There are 2 independent programmable interrupt generators for free-fall and motion detection, that will activate interrupt wake-up. This module has many potential applications including wearable tech, display orientation and impact recognition. Continental Electronics is Singapore's leading one-stop electronics retail, prototyping and production house. We provide turnkey services incorporating both hardware and software elements, focusing on a design process that unifies embedded systems programming, electronic and mechanical engineering. With a dependable technical team as our behind-the-scenes brains, we have become a trusted supplier of custom solutions for government initiatives, commercial accounts and esteemed customers.